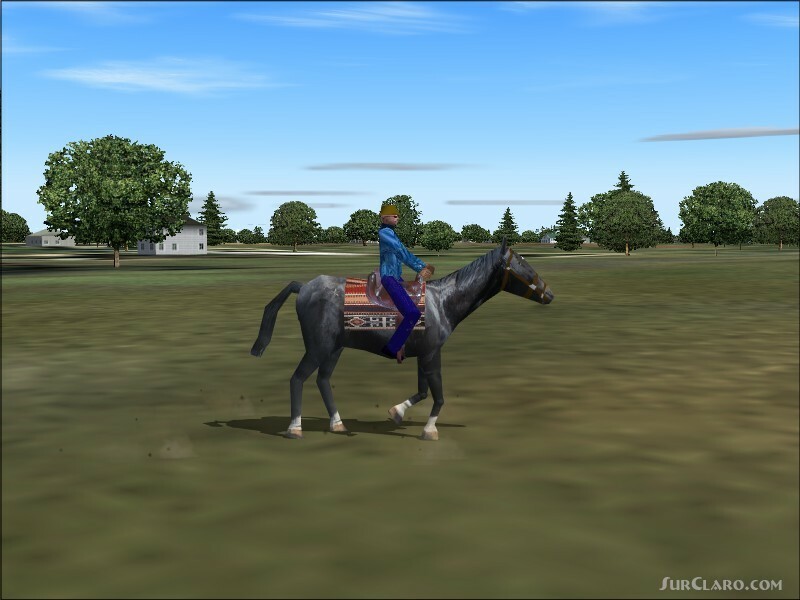 FS2004 Rideable Black Stallion Features 3 animated speeds riders head turns horses head tail legs move custom sound Panel and VC. Freedom of customization. Be sure to read the read me for info on operation and tips. Not tested in FSX but may work. Gmax model and textures by Greg Ebnit. XML coding from FFDS thanks Bill.